They also recently launched Eulila. 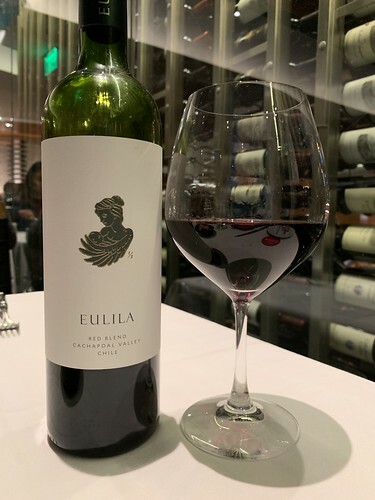 This is a red wine blend from the winery Vina Vik, made exclusively for Fogo de Chao. It is a blend of Carmenere, Cabernet Sauvignon, and Syrah from the Cachapoal Valley in Chile. It's a smooth red wine that's great to drink on its own and of course, goes well with red meat. 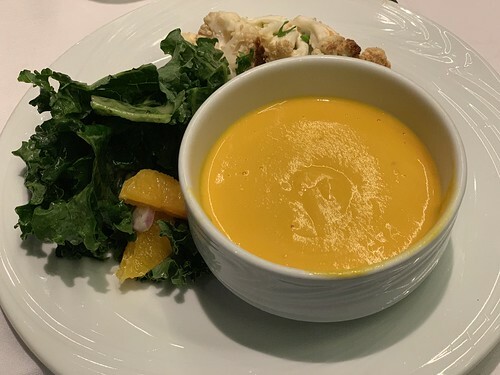 Among the non-churrasco new offerings is a carrot and ginger soup with fresh herbs and coconut milk. 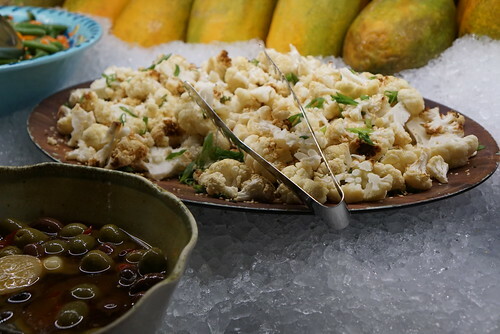 There's also roasted cauliflower to complement the meats. 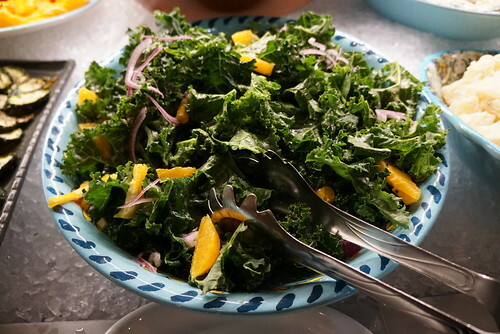 Kale and orange salad with a citrus honey vinaigrette. They also just added a Blood Orange Manhattan, made with Buffalo Trace bourbon, Carpano Antica vermouth, blood orange, and Angostura bitters. 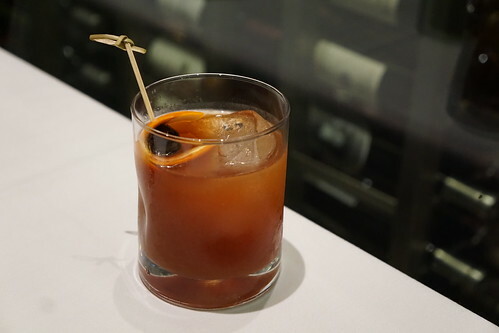 I've never tried the cocktails at Fogo de Chao before but I was pleasantly surprised. The Manhattan was well balanced. 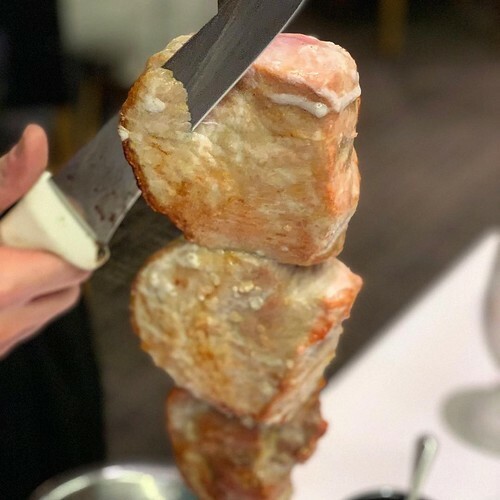 Of course, I couldn't leave Fogo without getting a slice of their picanha (along with lamb chops, bacon-wrapped steak, and more). 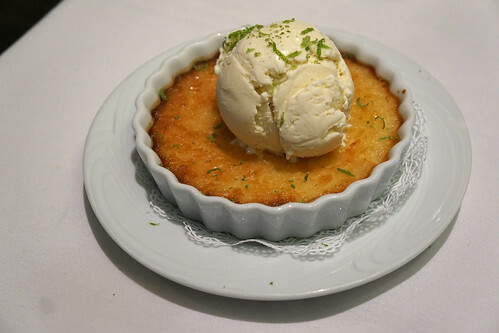 The spring dessert was a creme de coconut. It's a shredded coconut baked with condensed milk and cream. A tropical end to our meal. 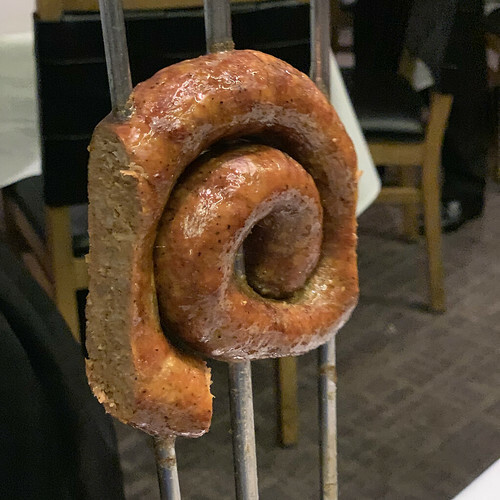 I've always enjoyed my meals at Fogo de Chao. 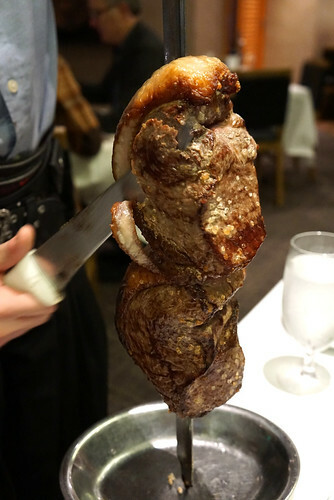 Despite being a chain, it consistently serves great Brazilian BBQ. Now with the spring offerings, they have enough items for even those who don't eat red meat (or don't want to eat too much of it).